Currants are small berry bushes that are packed full of nutrients, and a great choice for all gardeners in northern states. They’re high in nutrition and very low in fat, and so they’ve become increasingly popular. 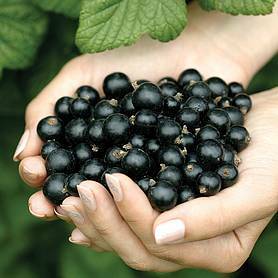 Most currants are used in baking, jams, and jellies, but they can also be consumed right off the bush. Currants come in several different varieties including red, pink, white, and black. Red and pink currants are perfect for baking, while white and black currants can be eaten raw. Today we’ll show you how to grow currants with our easy to follow gardening guide. Prepare well draining soil with a pH of 5.5-7. If the soil is sandy, work in lots of organic matter or prepare a raised bed. Plant in sun or partial shade if in cooler climates, but keep your plants in afternoon shade if in warmer climates. Plant your currant plants slightly deeper than they were in their nursery pots and space each one 4-5 feet apart. Water thoroughly after planting and apply 2-4 inches of organic mulch around the plants. The mulch will help keep the plants cool and the soil moist. 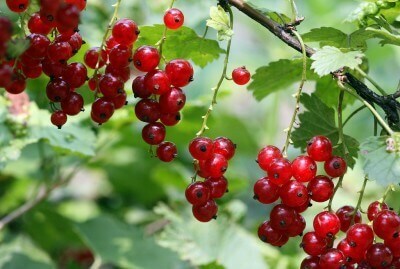 Make sure to water your currant plants regularly, especially during the summer months. Fertilize only a little bit: a couple of tablespoons of 10-10-10 fertilizer once a year in the spring is enough. Prune your shrubs once a year. So now that you know how to grow currants, it’s time to roll up your sleeves and get to planting! How to Grow Currants was last modified: August 29th, 2017 by Aniela M.